Nearly seventy-five years ago, Donald Triplett of Forest, Mississippi became the first child diagnosed with autism. In a Different Key tells the extraordinary story of the world his diagnosis created - a riveting human drama that takes us across continents and through some of the great social movements of the twentieth century. The history of autism is, above all, the story of families fighting for a place in the world for their children. It is the story of women like Ruth Sullivan, who rebelled against a medical establishment that blamed "refrigerator mothers" for causing autism, of fathers who pushed scientists to dig harder for treatments, of parents who forced schools to accept their children. But many others played starring roles too: doctors like Leo Kanner, who pioneered our understanding of autism, scientists who sparred over how to treat autism, and those with autism, like Temple Grandin and Ari Ne'eman, who explained their inner worlds and championed a philosophy of 'neurodiversity'. This is also a story of fierce controversy: from the question of whether there is truly an autism 'epidemic', and whether vaccines played a part in it, to scandals involving 'facilitated communication', one of many treatments that have proved to be blind alleys. And there are dark turns too: we learn about experimenters feeding LSD to children with autism, or shocking them with electricity to change their behavior; and the authors reveal, for the first time, that Hans Asperger, discoverer of the syndrome named after him, may have cooperated with the Nazis in sending disabled children to their deaths. 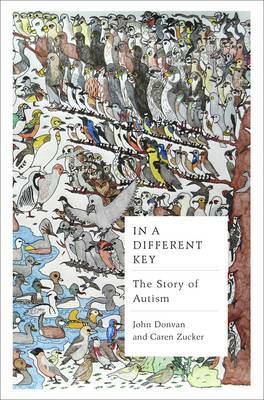 By turns intimate and panoramic, In a Different Key takes us on a journey from an era when families were shamed and children were condemned to institutions, to one in which parents and people with autism push not simply for inclusion, but for a new understanding of autism: as difference rather than disability. John Donvan (Author) John Donvan is a multiple Emmy Award-winning Nightline correspondent with a long career in journalism. Prior to Nightline, he was the chief White House correspondent for ABC News. Caren Zucker (Author) Caren Zucker is an award-winning veteran television news producer who has worked most extensively with ABC News. She also produced and cowrote a six-part series on autism for PBS in 2011.